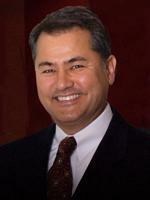 William K. Browning has been representing California clients in all phases of employment litigation for over 20 years. Mr. Browning has successfully tried or resolved all types of disputes in the employment context including: claims of wrongful termination, unlawful discrimination, retaliation, harassment, defamation, whistle blower claims, wage & hour claims, and the host of other liability issues facing employers. Prior to forming Browning|Hocker, her was a shareholder with Klinedinst, PC, and founded of Browning & Furness, APC after working as an associate with two exceptional San Diego law firms and serving as a research attorney for the San Diego Superior Court. In addition to his litigation work. Mr. Browning routinely provides proactive counseling to clients on a wide range of employment issues to manage risk and avoid the missteps that lead to litigation. His other litigation experience includes insurance coverage, ADA building compliance law, unfair competition, trade secrets, privacy violations, and healthcare law. He is a member of the San Diego County Bar Association, and is admitted to practice in all California State Courts, the U.S. District Court for the Southern and Central Districts of California, the Ninth Circuit Court of Appeals, and the United States Supreme Court.